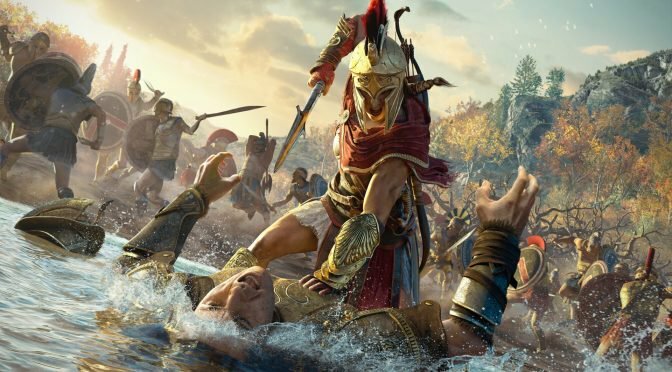 Back in October, Google offered a pretty sweet deal to get people beta testing its service Project Stream: Test the service, and we’ll let you play the very new Assassin’s Creed: Odyssey until the test ends in January. We’ll even give you 1000 helix credits (cash shop currency) to get you going. Unfortunately your save won’t transfer and you’re going to lose access to the game, but you’ll have the option to play it to your heart’s content for the next three months. Well the deal just got better. For those who put at least an hour into Project Stream, you’ll be able to keep your copy of Odyssey after January 15 when the test ends, as a permanent addition to your Ubisoft account. The test is still by invitation only, to the best of our understanding, so you might be in for a wait if you’re not already in the test. For those who can have access or gain access, you’ll have until January 15 to clock in your hour. Instructions for how to redeem the game will be sent after January 15. This offer is only valid in the United States as Project Stream is unavailable elsewhere.